Photo: Another Glorious Day at Bondi. View of the Northern end of the Beach. 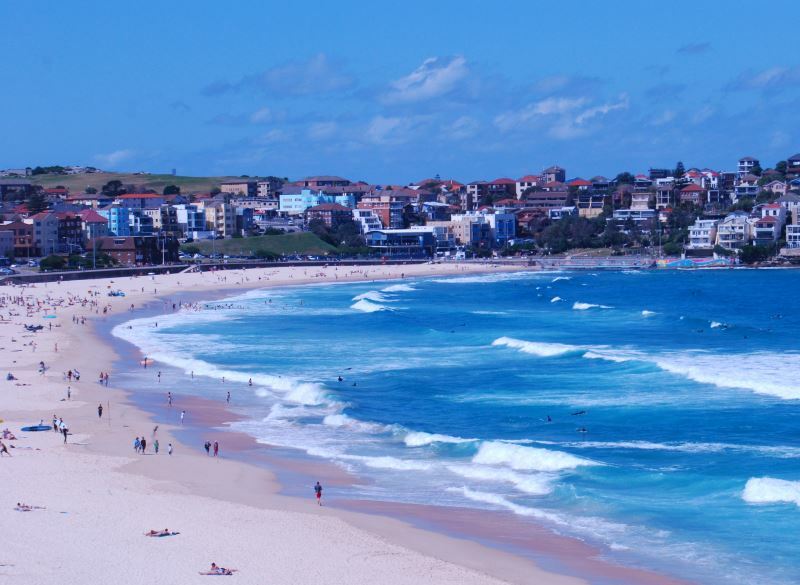 Bondi is one of the largest beaches found on the coast of Sydney Australia. One of many beaches here, but extremely popular with not only the local Sydneysiders but visitors as well, not only from around Australia but overseas. 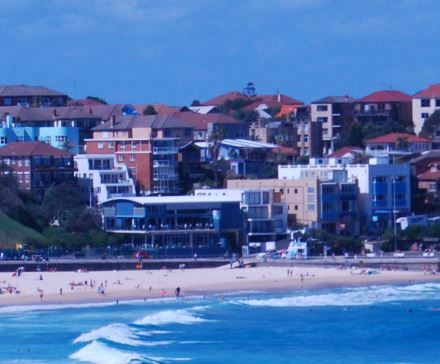 Indeed, Bondi can attract more than 40,000 visitors on a summer weekend (December - February), yet it is also popular during the winter months. The north side of Bondi Beach has its own Surf Life Saving Club, as well as a rock pool for swimmers and younger families, particularly when the surf gets big and/or rough. With all the visitors, the public is well catered for. Not only does it have adequate public facilities such as showers and change rooms, there are toilets including for the disabled. There are even surf schools, for those keen to learn more about this popular sport. This internationally known beach is also the closest to the city centre. There are rock pools on both ends for families and swimmers. Main Photo: Another Glorious Day at Bondi. View of the Northern end of the Beach.